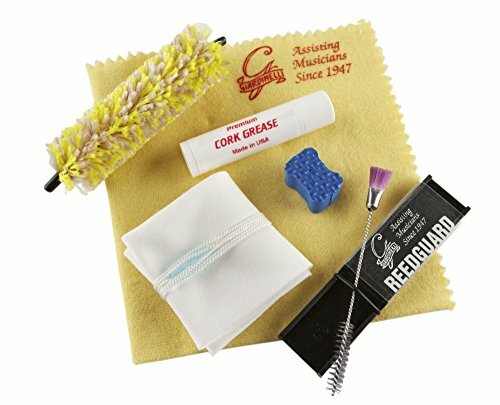 Clarinet Maintenance and Care Kit. All of the essentials regular clarinet care. Cleaning swab with pull weight, a fine and a coarse mouthpiece brush, a polish cloth, a notepad for keeping track of practice time and an instructional CD and a guide for proper clarinet care. If you have any questions about this product by Giardinelli, contact us by completing and submitting the form below. If you are looking for a specif part number, please include it with your message.